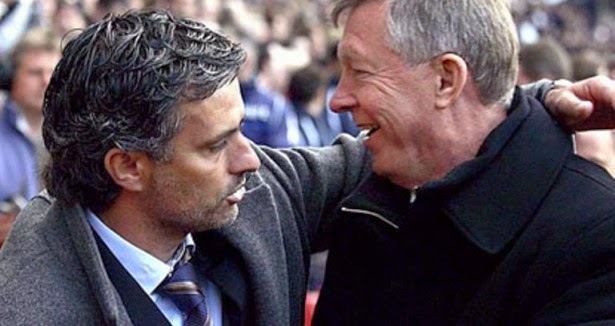 Both Sir Alex Ferguson and Jose Mourinho have had a few feuds with rival managers during their respective careers, but despite often coming up against each other in the battle for honours before Ferguson's retirement the two men continue to enjoy a warm relationship. When Mourinho's Porto side knocked Ferguson's Manchester United out of the Champions League with a last minute goal at Old Trafford in 2004, and the Portuguese manager danced down the sidelines most observers would have expected him to end up in the Glaswegian legends cross-hairs, but Sir Alex has been nothing but respectful towards the man who later came to England and led Chelsea to great success. 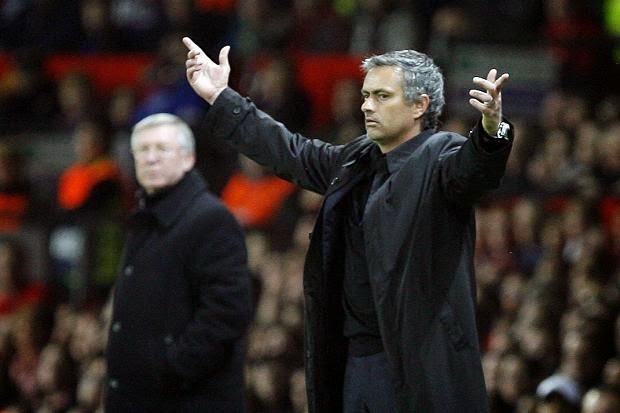 Mourinho, who gives the appearance of being able to start an argument in an empty house, has also shown nothing but admiration for Ferguson as well and in fact it was expected that he would follow him into the United hot seat when Sir Alex stepped decided to retire in 2013. Although his club decided to go in a different direction, Ferguson again praised Mourinho this week during the filming of a BT Sport documentary. "He’s good looking, he’s got that sort of George Clooney bit in his hair now. But I think he is a great example, he can speak five languages or whatever he can. "He goes and becomes an interpreter for Bobby Robson, follows him to Barcelona, works under Louis Van Gaal; he is learning all the time. This is well put by Ferguson, as Mourinho's achievements have been even more impressive considering he didn't take a traditional route into football management. He also looks on course to add another league title to his CV this season as well. 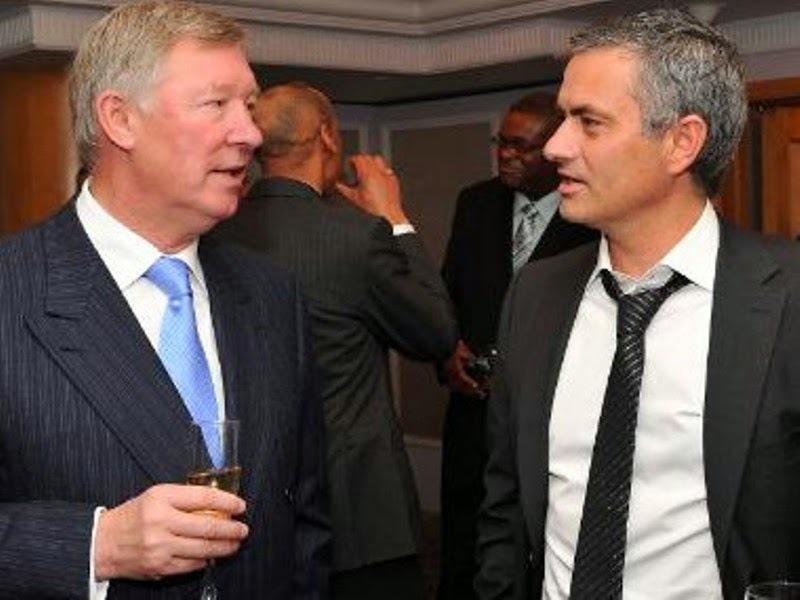 Mourinho for his part recalled this week that when their sides first met at Stamford Bridge, shortly after he took over at Chelsea, that the wine he was expected to share with Ferguson wasn't up to scratch. "It was Chelsea Football Club catering that bought the wine, and obviously the wine was not the top quality that the boss deserves. It was quite funny but disappointing. "So the next time we play against each other, I called a friend and I told him, the best I want the best. "And from that moment always the same bottle when I play against the boss." "Everything, his talent, the time he put his talent at the service of Manchester United and football in general. The passion that he has put in to everything, and after that in private moments, obviously, a good friend, a good person, a fantastic sense of humour. I like him very, very much. Now and again I've had questions to put to him and the way he has answered to me was always magnificent and a great support."